In 2007, North Carolina took an important first step toward adopting policies that will allow the development of a sustainable energy economy, which has resulted in the creation of thousands of jobs and increased investment, opportunity and innovation in communities across our state. In a historic stroke of the pen on August 20, 2007, then Governor Mike Easley signed Session Law 2007-397 (Senate Bill 3). In doing so, North Carolina became the 25th state in the nation-- and the first in the Southeast-- to enact a mandatory renewable energy and energy efficiency portfolio standard. This law--known as the "REPS" --requires the electric power providers in the state of North Carolina to provide a portion of our electricity needs with renewable energy generation and/or energy savings through more efficient electricity use in the years to come. The second edition of "A Citizen's Guide: The North Carolina Renewable Energy and Energy Efficiency Portfolio Standard," is designed to update everyone in our state, by summarizing the REPS law and its implications for North Carolina citizens and our government. The guide also provides an overview of the rules that the North Carolina Utilities Commission has developed and is currently implementing and ways for citizens to participate in making the REPS a success. 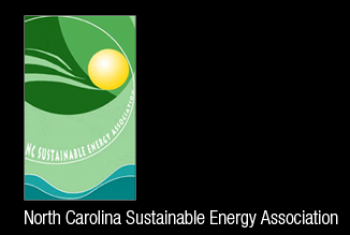 This guide is brought to you by the North Carolina Sustainable Energy Association (NCSEA), a non-profit organization with over three decades of experience serving our State. NC's REPS is a new energy policy passed by North Carolina legislature that promotes the use of renewable energy resources that to help create a green economy and job market across the state. North Carolina REPS will 1) create diversified resources to meet the energy needs of the state, 2) provide energy independence through the use of local resources, 3) promote local homeowners to invest in renewable energy options and energy efficiency. North Carolina adopted the REPS law to provide residents with alternative energy options that will save taxpayers money versus building more coal plants to meet our growing energy needs. The REPS law hopes to achieve this goal through a combination of increasing the use of energy efficient products and the use of renewable energy resources. Most of North Carolina's energy is produced through coal and other fossil fuels, but with the new REPS law the goal is to decrease overall consumption of these resources by at least 10%. North Carolina is also the first state in the Southeast to implement a plan that advocates the use of alternative energy solutions. Under the REPS law, investor-owned utilities in North Carolina are required to meet 12.5% of its energy needs through the use of renewable energy resources. The REPS law qualifies the following energy resources as renewable: photovoltaic, solar thermal hot water, wind, geothermal, tidal energy, and biomass. According to REPS, the plan to sustain these energy resources will include purchasing power from renewable facilities, using renewable resources to provide energy at existing facilities, purchasing renewable energy certificates (RECS), and implementing energy efficient options to reduce demand.Since energy efficiency has been proven to be a low cost method for reliably reducing electricity demands. The REPS defines an "energy efficiency measure" as equipment or a program change that results in less energy consumed to perform the same function. Make it more feasible to connect a alternative energy systems to the grid.